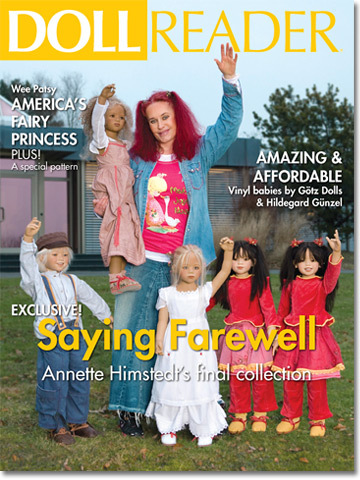 Can't get enough of Annette Himstedt? Well, we have just the thing for you! 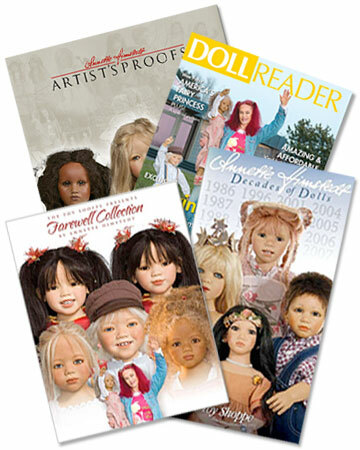 Only available for purchase at The Toy Shoppe, this set of 4 includes a Doll Reader magazine along with 3 of our exclusive catalogs designed by our talented, award-winning graphic artists: Annette Himstedt Artist's Proof Catalog, Decades of Dolls and Farewell Collection. Doll Reader MagainzeRead about the closing of Annette's manufactory and her collaboration with The Toy Shoppe in the August 2009 Issue of Doll Reader. Annette Himstedt Vinyl Artist's Proof CatalogOur exclusive catalog of Annette Himstedt's vinyl Artist's Proofs is a beautiful catalog of over 100 full-color pages. 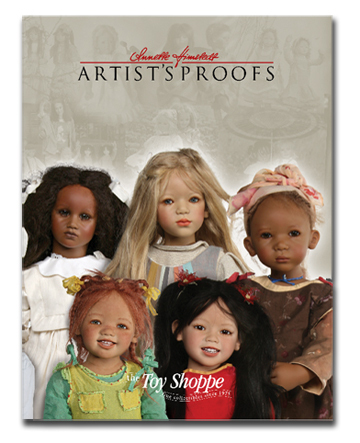 This catalog features Annette's vinyl Artist's Proofs spanning her past 24 years of dollmaking. 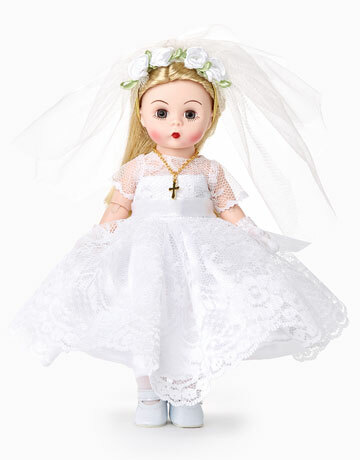 Without a doubt, this is the most important doll collection The Toy Shoppe has offered since we opened in 1975. 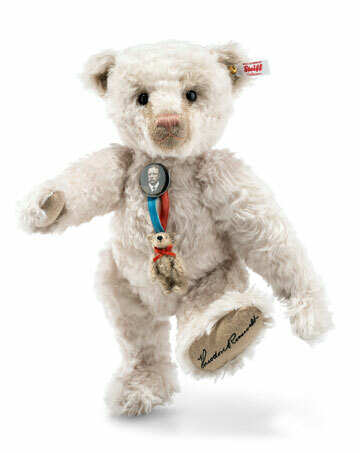 The scope of the collection, the impact that these dolls had upon the world and the fact that Annette was so personally involved in the creation of each one make these Artist's Proofs both distinctive and significant. Decades of Dolls Catalog and Farewell Collection The Decades of Dolls and Farewell Collection catalogs feature special editions by Annette from over the past 3 decades as well as her last edition of dolls - the Farewell Collection. 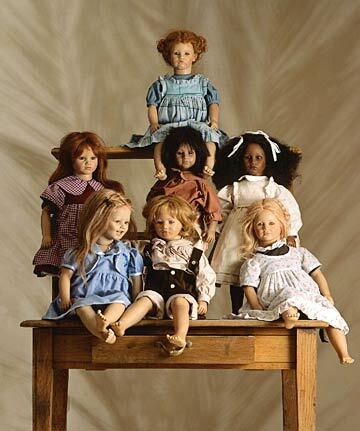 As a devoted collector of Annette Himstedt's dolls, we are sure that you will cherish this wonderful set for years to come. $7 within the Contiguous US ships via USPS with coupon code: 7SHIP. Destinations outside of the Contiguous US will incur a shipping rate of $30.95.Please Note: These rates may not appear correctly in your shopping cart, but will be adjusted when we process your order.